Orsi, a 21-year-old international business student from Hungary, says that choosing Lapin AMK was the best decision she’s ever made. As Finland redoubles its efforts to attract more international students, little attention has been paid to the far north of the country, where a small but rapidly-growing cohort of students from across the world are choosing to call this winter wonderland their home. Lapland is home to the northernmost university of applied sciences in Europe, Lapin AMK, which teaches close to 6000 students at campuses in Rovaniemi, Tornio, and Kemi. Over 500 of those students now hail from outside of Finland, choosing Lapin AMK to study one of their English language degrees or as part of a study exchange program. We spoke to students currently completing their degrees there to find out why they chose Lapland, and how the experience has shaped them. Orsi, a 21-year-old international business student from Hungary, says that choosing Lapin AMK was the best decision she’s ever made. After finding out about the course from a friend who she visited in Rovaniemi, she decided she wanted to experience Finland’s world-class education system first hand. “Once I’d decided on Lapland, my family just couldn’t talk me out of it. The atmosphere here is great, it’s like high school at a university level. Classes are so small that all the teachers have time for you, and you tend to bond with your classmates quickly”. Orsi says the best advantage of her course, which is taught entirely in English, is that it is so hands-on. Students work in real business environments and collaborate on real-world projects rather than spending time on essays and exams. As part of Lapin’s Arctic Youth Forum, she and her classmates have organized an event called the Arctic Business Network, which will draw businesspeople from across the region to Rovaniemi for a summit. Her class consists of students from across Europe and beyond, all of whom enjoy an active social life thanks to the students’ union. Of the locals, she says that “Lappish people tend to be really open to internationals”, and that the relaxing pace of life is what she enjoys most. “There is a surprisingly huge amount of opportunities here… I know I’ve made the right choice”. Steven meanwhile, is a third-year nursing student from Vietnam, who came to Finland after a long career in finance, which he found unfulfilling. Despite the severe weather, which frequently drops below -30⁰C in the winter, the environment is a major draw for Steven, who enjoys walking across the frozen sea near his home in Kemi to explore the islands. The degree track is equally as hands-on, involving placements with hospitals across the region. While Steven has already secured post-study work as a practical nurse in Helsinki, he says the Finnish language requirements for the course have proven to be the biggest challenge, and that his Finnish is “still basic”. 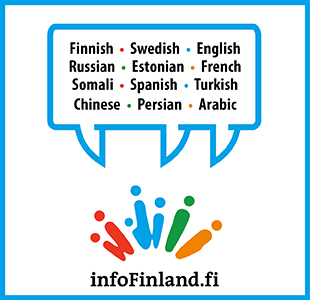 The university offers language training for non-Finnish speakers, while the community college in Rovaniemi also offers courses throughout the year. In terms of part-time work, the vast majority of international students work in Lapland’s booming tourism industry, as guides, shop assistants, waiters, translators, and hotel staff. The students we spoke to also expressed a strong desire to remain in Finland after graduation, either to continue their studies or to start their career here. Katja Mattila, the officer for alumni relations at Lapin AMK, said that “this is a very unique place, as well as a beautiful area to study. Many of our students quickly fall in love with the area and want to stay here. It’s a true community where everybody knows everybody, and the teachers are highly approachable”. There is a total of five English-language courses offered in Lapland AMK; International Business, Business Information Technology, Nursing, Tourism, and a Master’s Education in Business Administration (MBA). Tuition is free for EU/EEA nationals. Other nationals must pay tuition, but Lapland AMK has a very supportive scholarship system. The next application period is the 9th-23rd January 2019.